A lot has been made about the unstoppable, bulldozer-like force that Manchester City become when they play at the Etihad, but in the Premier League Liverpool are of a similar ilk. This season, Brendan Rodgers has seen his side drop just four points in their own stadium, which is one more than the mighty Citizens, while they’ve been on the coattails of City’s scoring exploits for some time. In the last nine games at Anfield, Liverpool’s assortment of attacking talent has slotted 31 goals past various goalkeepers. That’s just one less than Manuel Pellegrini’s awe-inspiring, much-feared set of players. The highest placed side to visit Casa del Suarez to date is fifth-dwelling Everton, who made the short trip back home with a tanned behind to the tune of a 4-0 scoreline. Now comes the real test though as Arsenal become the first member of the current top-three to make the trip. 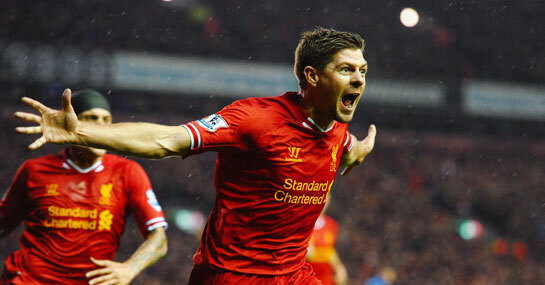 Liverpool are the favourites to win the match, at 6/5, with Arsenal a 23/10 shot and the draw available at 12/5. However, it’s the 11/4 on the Reds’ goal tally travelling north of the 2.5-goal mark that should be the go-to bet for the game. The obvious reason for this is the aforementioned similarities to City, with Suarez and Daniel Sturridge in form strong enough to swell the confidence that they can cover the bet on their own. But there are other reasons. Firstly, Arsenal’s improved defence, which ranks as the second best in the league, is actually rather more flimsy when it takes flight from the Emirates. There’s only been three Gunners clean sheets in their away league games this season and, as far as spooky similarities go, they lost a whopping 6-3 when they travelled to visit Liverpool’s ever-so-slightly superior doppelgänger.